Pointwise is once again offering free use of its industry-leading computational fluid dynamics (CFD) mesh generation to student teams participating in the SAE Aero Design East and West competitions. SAE Aero Design provides students with a real-life engineering challenge – designing and building a radio-controlled aircraft to carry a payload around a closed course and then flying it against other teams in competition. Pointwise is assisting student teams by providing use of its software, full technical support for the software, and a fun pack of T-shirts, bumper stickers and other items. Figure 1: Student design team from Ohio Northern University shows off their aircraft and Pointwise T-Rex shirts at SAE Aero Design West 2010. SAE Aero Design includes three competitive categories: regular, advanced, and micro. Regular is the introductory class, with enough design restrictions to provide a focus on fundamentals of flight. The advanced class has fewer design restrictions and is geared toward experienced teams that want to explore a wider design space. The micro class adds the design goal of minimizing empty weight and is restricted to electric-powered aircraft. SAE Aero Design West 2012 will be in Van Nuys, California, on 16-18 March. SAE Aero Design East 2012 will be in Marietta, Georgia on 27-29 April. The three-day events include a day of team design presentations and two days of flying competition. Teams are graded on their design presentations and on how well their aircraft fly. 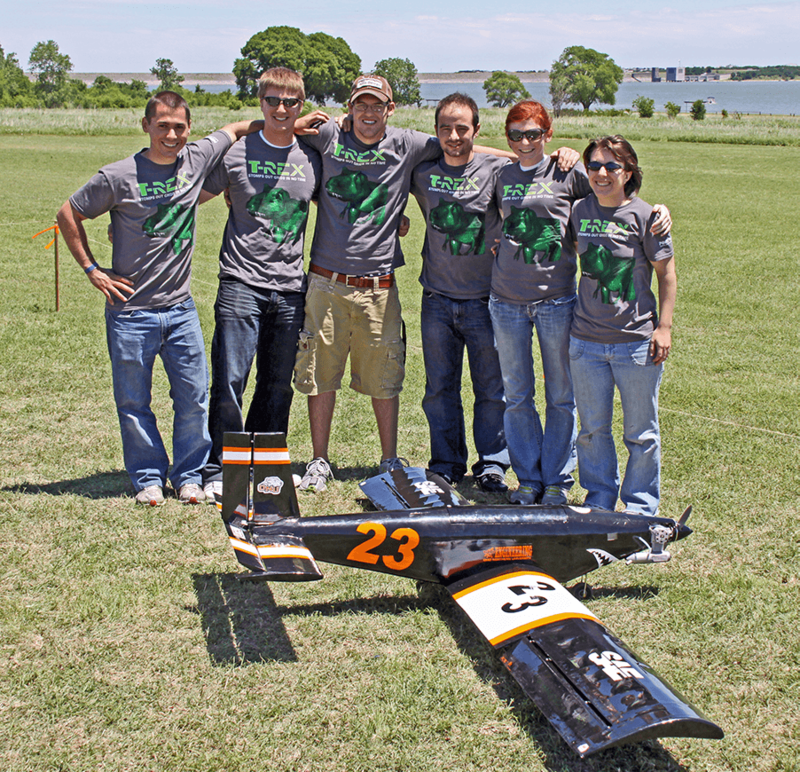 In 2011, Pointwise sponsored SAE Aero Design teams from the University of Kansas, South Dakota School of Mining and Technology, Ohio Northern University, Vellore Institute of Technology, Alexandria University, and University of Texas at Arlington. 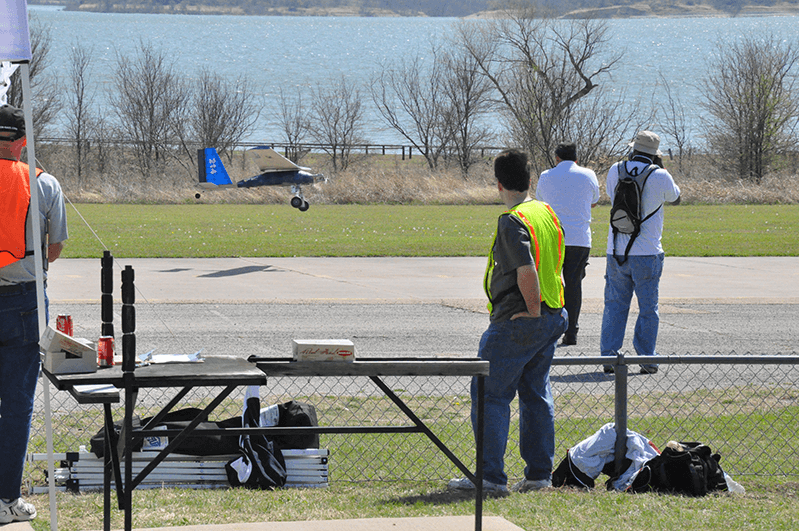 Figure 2: Competitor landing in windy conditions at SAE Aero Design East 2011 in Fort Worth, Texas. SAE also has automotive design competitions. Formula SAE® participants design, build and race a formula-style open wheel race car. 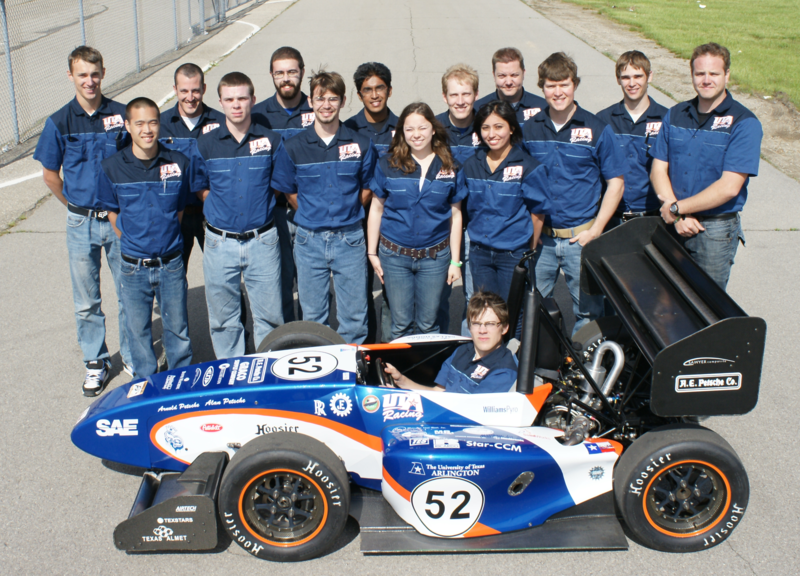 In 2011, Pointwise sponsored Formula SAE teams from San Jose State University, South Dakota School of Mining and Technology, and University of Texas at Arlington. Students participating in Baja SAE® design, build and race an off-road racing vehicle powered by a 10-horsepower engine donated to each team by Briggs and Stratton. In 2011, Pointwise sponsored the Baja SAE design team from South Dakota School of Mining and Technology. Figure 3: Formula SAE team at the University of Texas at Arlington. More information on the aero design competitions can be found on the SAE Aero Design website. If you are a member of an SAE student design team who is interested in having Pointwise sponsor your team, please visit our website at www.pointwise.com/sponsorship to learn how to apply for sponsorship.